What Makes a Horror Movie Good? Horror movies—schlocky, gory, full of jump scares, and shrieking violins—are rarely “good” by critical standards. 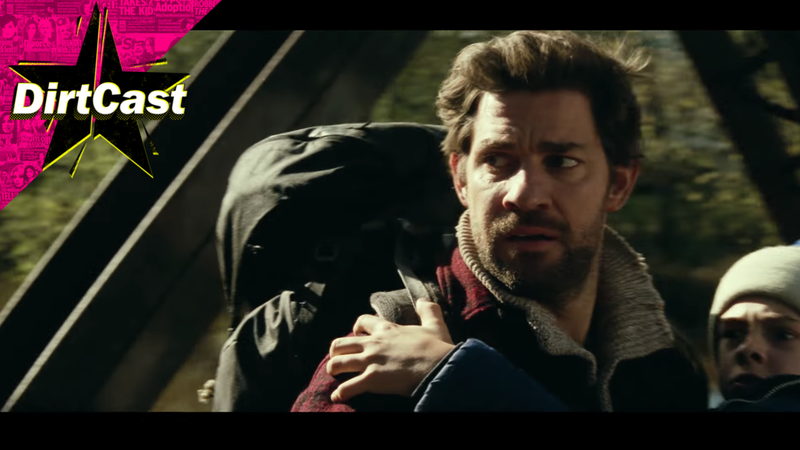 But now that Get Out’s Jordan Peele won an Oscar, and Jim Halpert’s The Quiet Place is set to spend another week at the top of the box office charts, it is time to take a closer look at the genre. It is possible to make a horror movie that also happens to be good enough for prestige actors to willingly participate, though this is a recent phenomenon. Consider Hereditary, a horror movie about the terrors of what we inherit from our family. Featuring Toni Collette and Ann Dowd, the trailer is chock-full of the kind of imagery that one might find in another, lesser film. There’s a creepy child; a dead bird; a man on fire; and the promise of a dead grandmother who hangs around, spectrally, for longer than is necessary. With this movie on the horizon, it’s clear that the genre is gaining traction in the swamps of acceptability. As I am incapable of viewing a trailer for a horror movie without covering my eyes, we grabbed horror connoisseur and writer Corban Goble to help us out. We talk about the difference between horror and thrillers, why scary movies are so fun (for Maddie) and traumatic (for me). DirtCast can be found on Apple Podcasts, Stitcher, Spotify, Google Play, NPR Oneand iHeart Media. Thanks to Corban Goble. Our show is produced by Levi Sharpe. Mandana Mofidi is our Executive Director of Audio. Our theme music is by Stuart Wood. This episode was mixed by Jamie Collazzo.